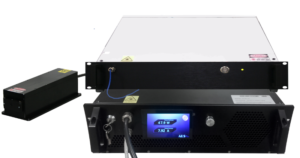 Why are Azur Light Systems’ lasers a perfect fit for atomic physics experiments? Since the advent of quantum physics in the first half of last century, interaction of light and matter has been an exciting and extensive field of research. In 1997, the Nobel Prize in Physics was awarded jointly to Steven Chu, Claude Cohen-Tannoudji and William D. Phillips ”for development of methods to cool and trap atoms with laser light”. Since then, there has been an acceleration in theoretical and experimental research and some industrial applications have been already validated. across all of these parameters making the lasers best in class for a wide range of low temperature physics systems.